So prepare yourself! This is going to get numbery!! Which is weird as I loathed maths at school and still don’t even know my seven times table, thank god for calculators in your pockets at all times… in your face Mrs Hyde! You said we wouldn’t have that luxury!! 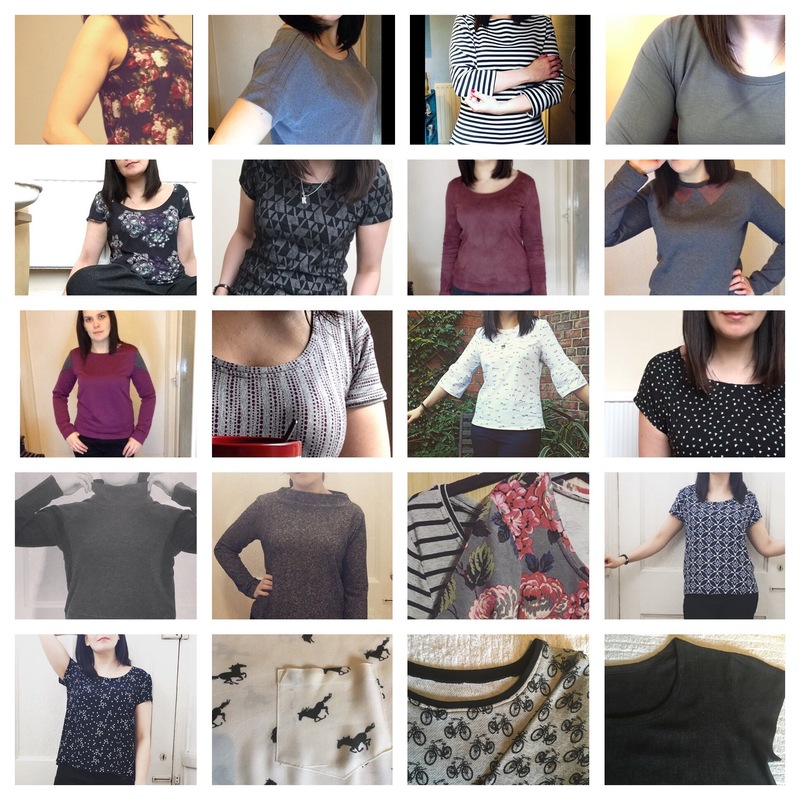 21 of my finished sewing projects were tops… I think it’s safe to say I love sewing myself a nice new top… the last three are ones I haven’t even blogged yet!! 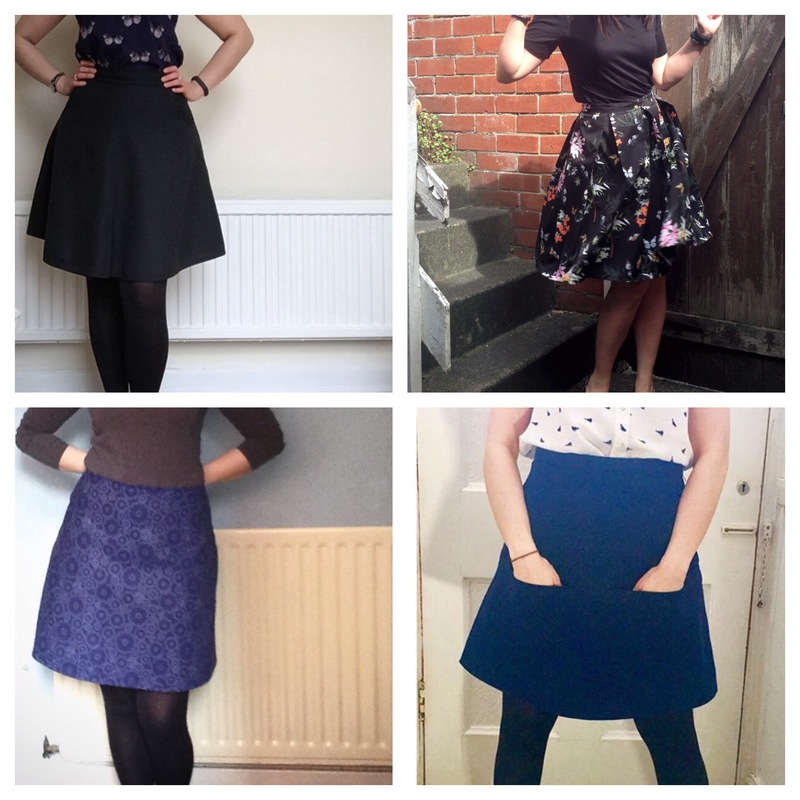 I managed to churn out a mere four skirts… I still think that kangaroo pocket skirt is awesome! 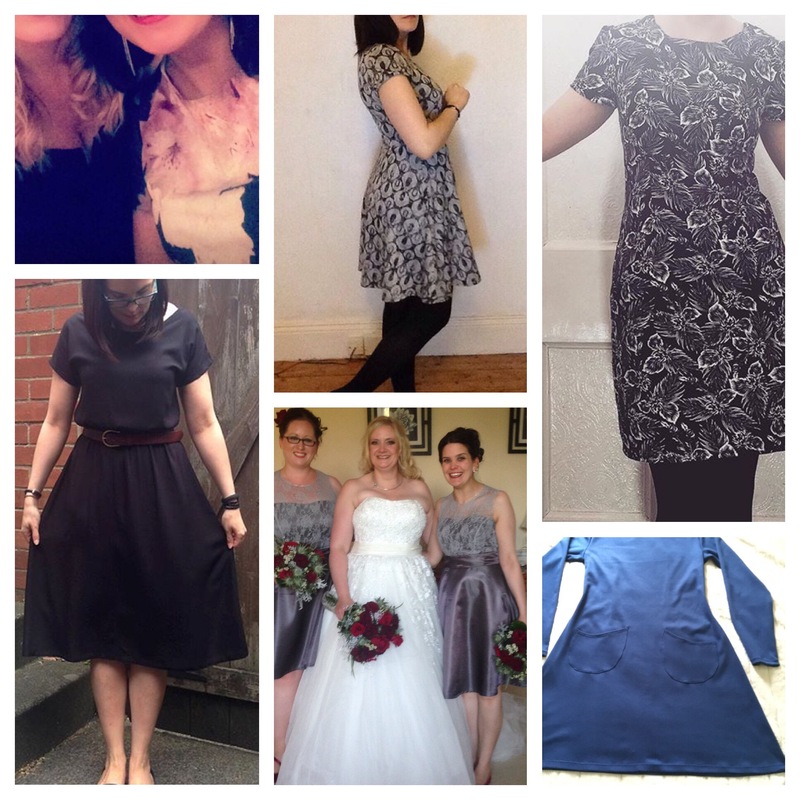 Nine whole dresses were made… top left and bottom right haven’t made it on here yet… hence the terrible picture top left! (That was just a shot at the work Christmas party), not shown here are the dress I made for my sister and a black Monetta which I can’t find a photo of… I’ve got one somewhere though! No trousers were made, I had hoped to try some but it just never happened. 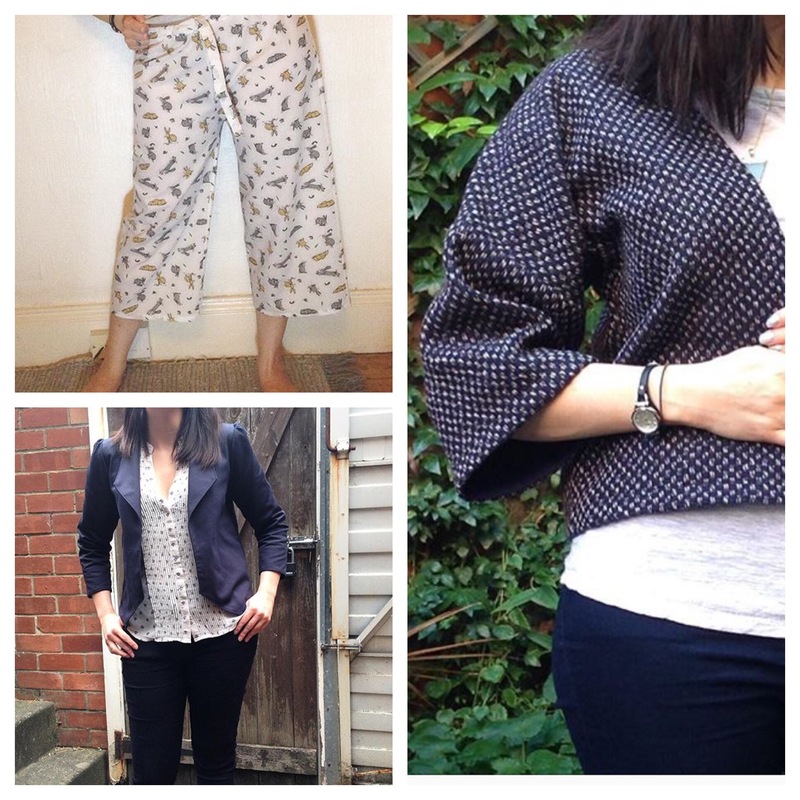 And my three miscellaneous items were my pyjama bottoms, a Morris blazer and a kimono wrap jacket. 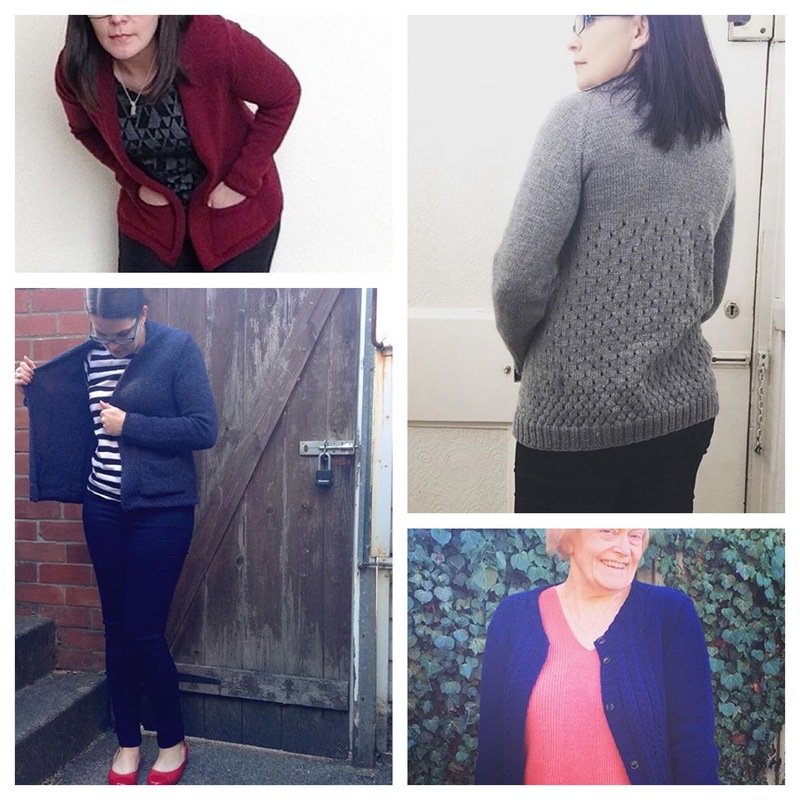 A whopping four cardigans were completed… though only three survive after the fatal felting of my red Bailey cardigan (snif). Only three scarves! 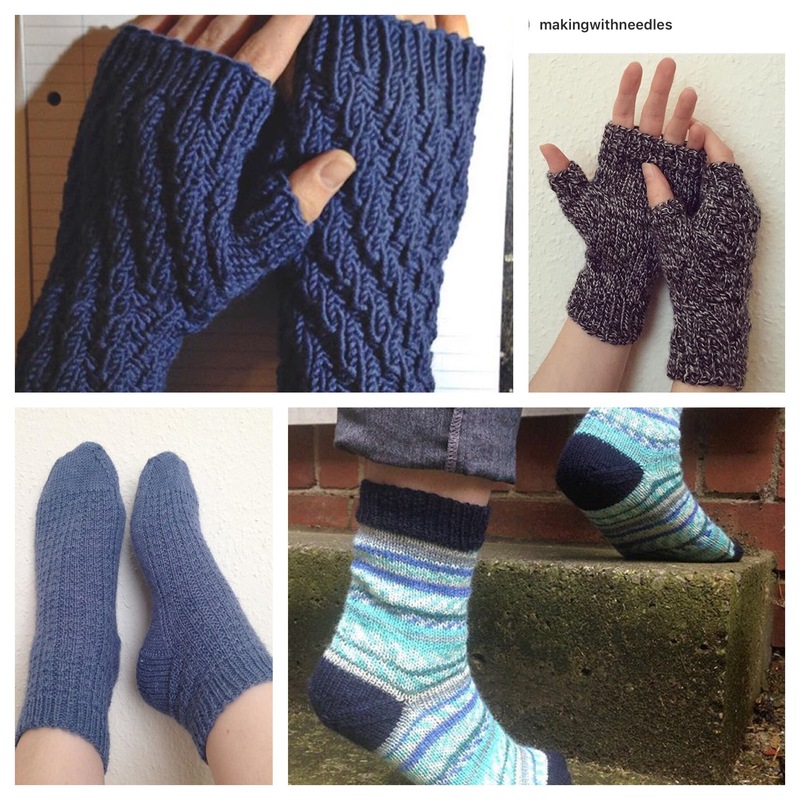 I’m surprised at this as I really enjoy knitting (and wearing) a good shawl scarf. Two pairs of socks were completed (another is still in WIP mode), and two pairs of mittens.. one for my mum and one for me. 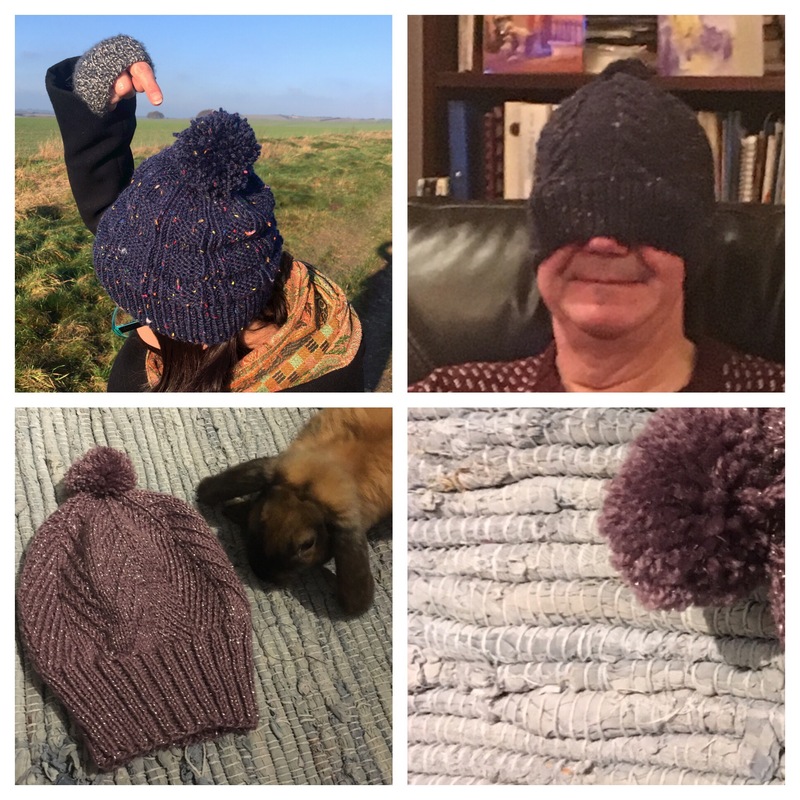 And finally seven hats were made… you don’t get to see bottom right because she hasn’t got it yet… spoiler alert though… it’s got a Pom Pom! Phew! That’s a lot of stuff when it’s all set out in photo form like that! Once I had these numbers though I started to think about how useful these makes have been, I mean, they can all be used… but have they been…? Gifted items? 2 sewn (dress for sister and the second bridesmaids dress) 9 knitted!! So that leaves 14 items that are not in regular circulation, whether I just didn’t like the fit or they were made for a special occasion. I guess it’s good that the majority of stuff does get use (currently sitting in my navy stars Scout tee and my grey Bailey cardigan), and would I be pushing it trying to lower that number. I don’t want to set myself goals next year as I don’t want to take the fun, spontaneity and experimentation out of my sewn/knitted items… I think what I shall take from this is that I’m becoming better at knowing what I want, and I’m definitely knitting faster! It’s all very impressive! 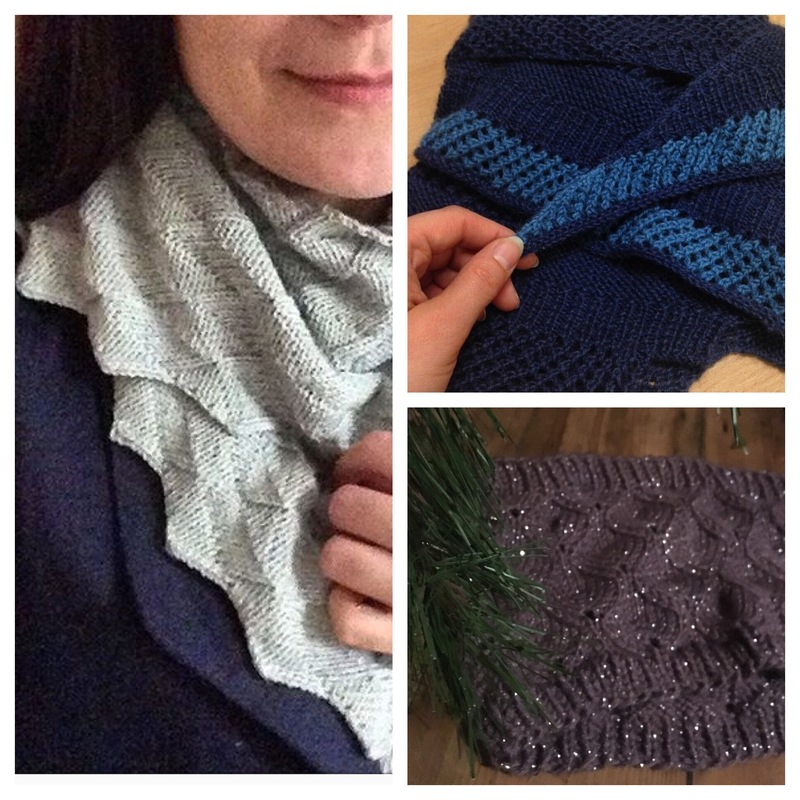 The Heaven and Space shawl is beautiful. Thanks for the Ravelry reference.